"We cannot keep to ourselves the words of eternal life given to us in our encounter with Jesus Christ: they are meant for everyone, for every man and woman. ... It is our responsibility to pass on what, by God's grace, we ourselves have received." St. Mark Parish School of Religion (PSR) supports parents in educating their children in the Catholic faith and helping them to live out that faith within a believing community. The objective of our PSR is that every child complete each year of the program with the religious knowledge appropriate to his/her age. Previously called CCD or Catechism, our PSR currently serves over 700 students, 1st through eleventh grade. Our PSR program provides opportunities for our children to grow in awareness of the presence of God in their lives through instruction, celebration of the sacraments, and by participating in liturgies and prayer services that are designed for the students. To coordinate a program of this size, much work has to be done and a lot of help is needed. We are grateful to the many workers who, by giving of their time and sharing their talents, contribute to the success of the program. Because religious education is the concern of all the parishioners, we ask everybody to pray for the success of our PSR program and also to get actively involved in helping in some way. We need teachers, aides, babysitters, office workers (daytime and evening), volunteer coordinators, ground monitors and parking lot attendants. The PSR volunteers work under the supervision of the PSR principals. Mrs. Flory Reynolds is principal over grades 1st through 8th for both the Summer I, 8:00 a.m. - 12:00 Noon session and the Summer II, 1:00 - 5:00 p.m. session; and Mrs. Patricia Sanchez is principal over the High School PSR which is held one Sunday a month, starting in August, from 6:00 to 8:30 p.m. St. Mark also offers a home school program for all grades. For more information, call the parish office and talk to Mary Kruse, Director of Christian Formation. The RCIA process is one of conversion which leads to receiving the initiation sacraments of Baptism, Reconciliation and Eucharist. Materials are provided for use by teachers, substitute, or aide to work with a small number of children who have entered the religious education process later than first grade. The individual child is brought through the material he/she has missed by late entry into the program so that he/she may join his/her regular class in parish school of religion the following year. 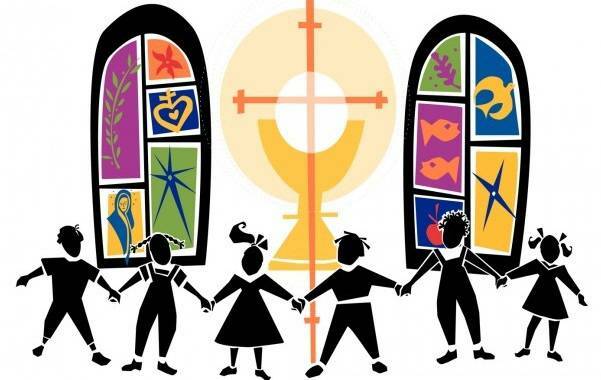 RCIA for children will meet during PSR Summer I, from 8:00 a.m. till 12:00 noon. The RCIA process is one of conversion which leads to receiving the initiation sacraments of Baptism, Eucharist, and Confirmation. 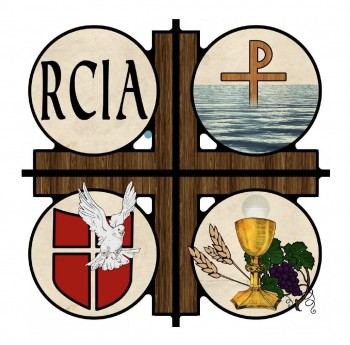 RCIA is open to all those who have never been baptized and adults baptized in another Christian faith who wish to become members of the Catholic Church. Classes are also open to Catholic adults who have not yet received the other initiation sacraments of Eucharist and Confirmation, and those who have not yet received any Catholic instruction. Classes are held on Wednesday evenings beginning in September of each year. Team members include parishioners who wish to be catechists, sponsors, and general support personnel. 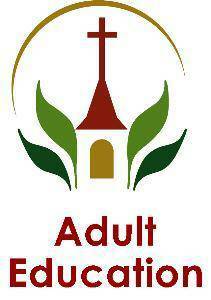 For more information about RCIA you may contact Donna Chestovich at 225-938-0985. As Catholic Christians we are called to continue growing in our faith through on-going formation. Here at St. Mark our Adult Enrichment Program offers many opportunities for parishioners to learn more about and deepen their Catholic faith. Parish School of Religion catechists are encouraged to participate in formation programs such as: bible studies, workshops and conferences to gain a better understanding of their faith and to earn Diocesan teacher certification credits. Ministry and Theology (MAT) classes are offered through the diocese and are held at the Catholic Life Center as well as in different parishes and are open to anyone. MAT classes focus on prayer, scripture, morality and the sacraments. Workshops on marriage enrichment and social justice have also been offered at St. Mark. For more information about educational opportunities available in the parish and on the diocesan level, please call the parish office.